What’s your favourite way to spend a blustery autumn day? Curled up by the fire with a cup of tea and a good book, or striding across the landscape breathing fresh air and getting some colour in your cheeks? For us, either option is equally attractive – and, if a recent Guardian article by author Duncan Minshull is anything to go by, we’re not the only ones. I’ve always been a walker. Age 10, it was the Sunday outing (family bonding); age 13, it was getting away from home (rebellion); and, as a student of 20, I tramped everywhere (no money). Later I began examining the activity, which meant writing about it, and after that I corralled 200 walkers and their journeys into an anthology, just re-published as While Wandering. This contains characters from fiction, as well as passages from memoirs, plays and poetry. The purpose of the book was to shed some light on our desire to travel by foot. John Hillaby said he had no idea why he walked, despite crossing deserts, roaming the length of Britain, and writing great books about it all. Funny, I’ve always believed the opposite. There are a thousand and one reasons for setting out, be they physical, psychological or spiritual, rational or bonkers. I like to think that the following people might inspire us to hit the road, too. Read the full list of walks here. And if you’d like to know more about the anthology that inspired the article, it’s here. 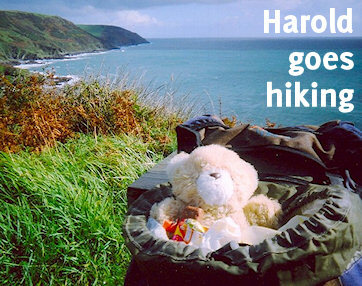 Categorised under Out and about, Tips and advice, tagged under literary walks, walking lists.